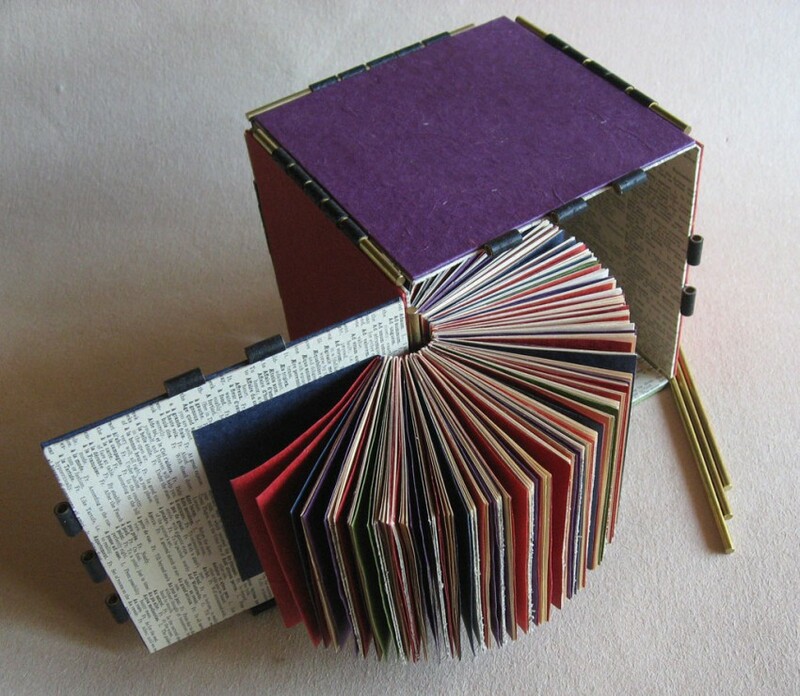 One-of-a-kind altered book in reversible box. Foreign words and phrases pages from The New Webster Encyclopedic Dictionary, 1971 ed., Indian cotton paper, book board, leather, brass rod and tubing. 14 x 14 x 14 cm (5.5 x 5.5 x 5.5 in.) closed.